Replacing Ignition Coil On Your Vehicle – When is it the Right Time? An ignition coil is an induction coil in a vehicle’s ignition system which transforms the battery’s low voltage, 12volts, to the thousands of volts needed to create an electric spark in the spark plugs to ignite the fuel. Originally, every ignition coil system required mechanical contact breaker points, and a capacitor (condenser). More recent electronic ignition systems use a power transistor to provide pulses to the ignition coil. Later model cars may use one ignition coil for each cylinder, eliminating fault-prone spark plug cables and a distributor to route the high voltage pulses. As an aside ignition systems are not required for diesel engines which rely on compression to ignite the fuel/air mixture. In modern vehicle ignition systems smaller coils are used with one coil for each spark plug or one coil serving two spark plugs (for example two coils in a four-cylinder engine, or three coils in a six-cylinder engine). A large ignition coil puts out about 20 kV, and a small one such as from a lawn mower puts out about 15 kV. These coils may be remotely mounted or they may be placed on top of the spark plug, known as coil over plug. Where coils are individually applied per cylinder, they may all be contained in a single moulded block with multiple high-tension terminals. This is commonly called a coil-pack. One of the first symptoms that a coil is no longer working as it should is a decline in your normal economy. This is because it takes more fuel for the car to run when less power is reaching the spark plugs. So, when your ignition coil begins to fail and becomes less able to transfer power, your car requires more fuel to run, and your fuel economy suffers. Also the result of increased, and less efficient, fuel use is a noticeable change in your exhaust. It may become black and smell of gasoline, rather than smelling like normal exhaust fumes. If you do not catch the earliest symptoms of a failing ignition coil, your car may begin to experience serious backfires. This happens when unused fuel is emitted through the car’s exhaust, creating a small explosion. Backfires can occur either in the car’s manifold or in the exhaust pipe. Typically, backfires caused by ignition coil issues take place in the latter. If the problem is not corrected, these backfires can cause serious damage to your exhaust system, which will require costly repairs, which would otherwise be unnecessary. 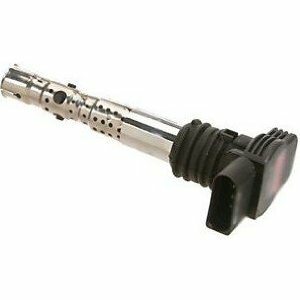 Because ignition coil failure means that a spark plug is no longer receiving an appropriate amount of charge, cars that are suffering from this issue are typically harder to start. This may be especially noticeable when the car is cold, or when the humidity level is high. 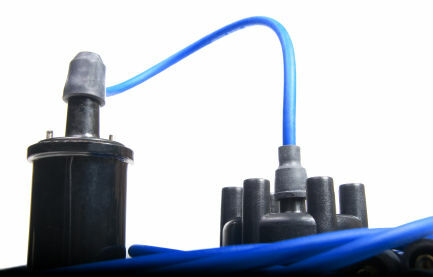 A series of misfires will often occur when ignition coils fail, resulting in your car running rough. When travelling at highway speeds, this may feel like a jerking sensation or a random, but repeated loss of power. At a stop light, or when idling for any reason, this feels like a vibration. A car whose ignition coil(s) completely fail will not start at all. In this case, jump starting will prove ineffective. If you have started experiencing any of the above symptoms, the best thing is to take your car to a car servicing workshop & let the car mechanic know about these symptoms, as this will lead to a faster and more cost efficient resolution of your car’s ignition coil problem.